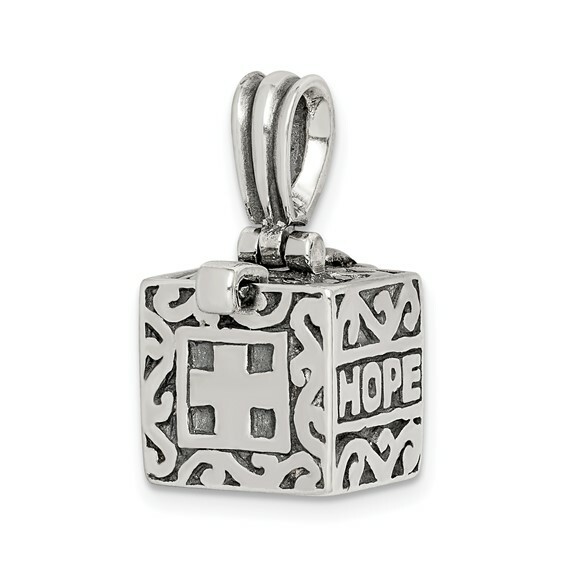 Sterling Silver Faith, Hope, and Charity Prayer Box. Weight:8.25 grams. Item measures 7/16 inch tall by 7/16 inch wide without bail.